Smoking doesn’t have to keep you prisoner any longer. How many times have you quit smoking? That may sound like a silly question, but according to The American Cancer Society, only 25% of people who use medicines can remain smoke-free longer than 6 months. Only 4-7% of people are able to quit smoking without any medicines or help. If you or a loved one is looking for the path to a healthy, smoke-free lifestyle, Wellworks For You would like to bring you 10 Ways To Quit Smoking. Set A Date. 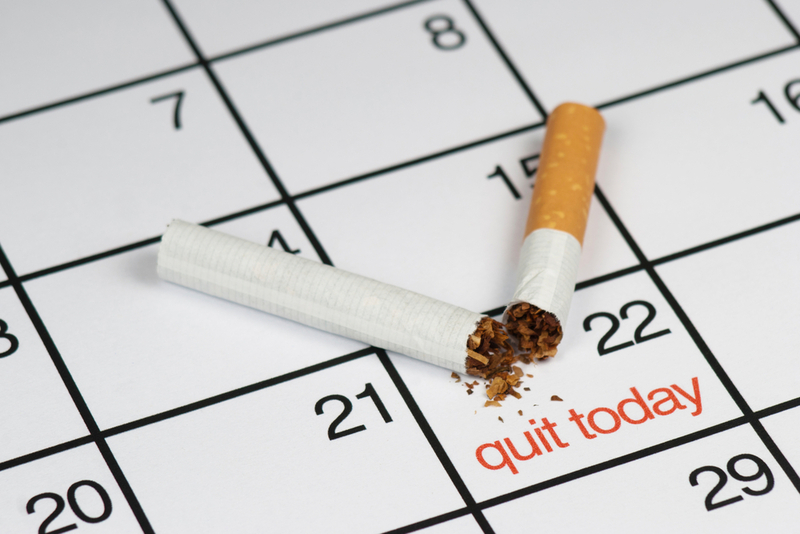 Give yourself some time (but not too much time), and set a date to officially quit smoking. Have a friend, or two, help you stay on track. Sign your calendar and put your heart into it. This is a critical step when you implement these 10 ways to quit smoking. Seek Accountability. As mentioned above, having someone you can go to when you’re feeling tempted or need encouragement is very important. Be sure to pick at least one person you can confide in and be honest with. Make A List Of Why You Like Smoking. This may sound counterproductive, but according to the Director of Clinical Psychiatric Research Center, you should create 2 columns. On one side, list all of the things you like about smoking. In the other column, make a list of all the things you dislike about smoking. Perhaps you like or dislike how it affects your relationships, work, etc. Work on this list over time and make changes, even getting feedback from your family and friends if you are brave enough. When the negative side outweighs the positive, you will be ready to quit. Use Nicotine Replacement Products. As a great aid to help quit smoking, nicotine replacement chewing gums, inhalers, nasal sprays, lozenges and patches give you a steady level of nicotine without the peaks and valleys. You also get out of the habit of placing a cigarette to your lips. Since the idea is not to quit smoking only to enter a new addiction, you also need to get off the nicotine replacement as soon as possible. Try Meditation. If you smoke, you know that cigarette cravings can send you into a tizzy if you don’t give your body what it wants. When you feel those cravings creep into the depths of your soul, take a step back. Close your eyes and breathe. Meditate on the reasons why you’re quitting. If you have kids, think of them and the benefits of a smoke-free lifestyle. Stop Buying Cartons. The convenience of having a plethora of cigarettes helps keep you puffing all night long. Make it harder on yourself to smoke by only carrying 2 or 3 with you at a time. Keep A List Of Times You Smoke. Place the time of day and activity you just performed, and are about to perform, when you smoke. This will help you become aware of specific times of the day that you are more prone to smoke so you can be prepared ahead of time. Also, notice certain activities that seem to initiate your craving. Do Something When You Crave. Prepare a list for yourself of things you can do when you crave a cigarette, such as chewing gum, washing your face, play a game, play with the dog, or spend quality time with your spouse. You’ll soon realize what you have been missing out on when you have been replacing all of these good things with taking a smoke break. Quit When You’re In A Good Mood. If you find yourself going through a hard time in your life, it might not be the best time to quit. If you are depressed or under a great deal of stress, be sure to get the help you need before adding the further stress of trying to quit. Get Help From The Experts. Out of our 10 ways to quit smoking, this is our most effective tip. Here at Wellworks For You, we provide a Smoking Cessation Program that provides you with 6 weeks of resources and support to get you on the path to a healthier life. If you enjoyed our tips on 10 ways to quit smoking, and are interested in our smoking cessation program here at Wellworks For You, please contact us at 800-425-4657.